The question that has been asked is “how do you do this?” This short blog with show you in simple steps how quick and easy it is to join in, log your miles, correct any mistakes, and see your activity totals in one place. The first page you’ll see tells you a little bit about the challenge, the charity and shows the last 5 entries that have been submitted. After you’ve read this (as this helps raise the awareness of this disease), click on the Sign Up link at the top. If you’ve already signed up, click the Login link, see Step 3 below. Quite simply, choose your preferred option to login. The easiest way is if you have either a Facebook account or a Gmail account, then click on either of these Sign up using buttons, and it will set you up automatically for the challenge, if you’re already logged into those accounts. Otherwise it will ask you to log in to Facebook or Google (whichever one you chose) and then it will be done. If you’d prefer, you can choose ‘Sign up using Email’ and it will let you enter your email address and a password, and then click on Register to complete. If you’ve only just registered, you won’t need to do this so proceed to Step 4. If you’re already registered, chances are you will still be logged in if using the same computer or mobile device, but if you logged out or are using a different device, then click on the Login link on the main page. This page look very similar to the register page. Just choose the Login option that you used to Register with. Don’t worry if you can’t remember which option you used, you can try using Facebook or Google. If your account is already set up using a different method, you will see this message. You can then try the other options. If all attempts fail, then click on the Facebook or Twitter icon in top right of the page, and leave a message asking for help. 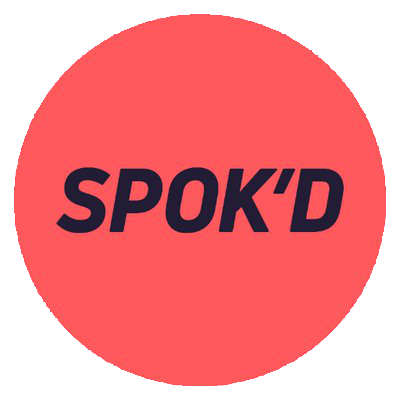 So you’ve registered, and you’ve done the hard bit (the activity), whether it be running, walking, swimming, cycling, a round of golf, a row or even a static cycle machine. Now you need to log your miles. There are only 4 fields, and the comments are optional. Choose the measurement, either “miles” or “kilometres”. Choose the activity type from the list of options. Enter a distance, decimals places are okay. Add a comment for a little fun description. And hit “Submit Miles” button. Your activity will then appear at the bottom of the latest 5 that is shown on the main page. Excellent. So you’ve submitted your miles. How about taking it one step further. You can click on the links in the first blue box to share or tweet about the Challenge and your activity. Or you can click on the links in the second blue box to tell the Foundation about your efforts. Maybe post some photos to! Step 6. Made a mistake? Don’t worry if you make a mistake, like donating cycle miles as a round of golf. You can easily remove a wrong entry, and re-enter it correctly. Click on the “Miles” link in the top menu. This will show you up to the latest 3 entries you submitted, and on each is a “Remove Miles” button, so you can correct your totals as well as the challenge totals. If you click on the Stats link in the menu, you can see how much you have contributed to the challenge. Well that’s about it. Next time you walk, cycle, run, swim, row, spin or play golf, then come over to, https://goo.gl/nPvMpv and log your miles. 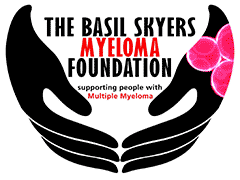 On behalf of The Basil Skyers Myeloma Foundation, we thank you for your contributions.